The Caravan Sports Infinity Zero Gravity Chair has a unique double bungee suspension system, locking mechanism that allows for an infinite number of recline positions, and an adjustable headrest that can double as a lumbar support. Unlike other gravity chairs, the original Infinity Zero Gravity Chair boasts a 300 lb. weight capacity! The Caravan Sports Infinity Zero Gravity Chair has a unique double bungee suspension system, locking mechanism that allows for an infinite number of recline positions, and an adjustable headrest that can double as a lumbar support. 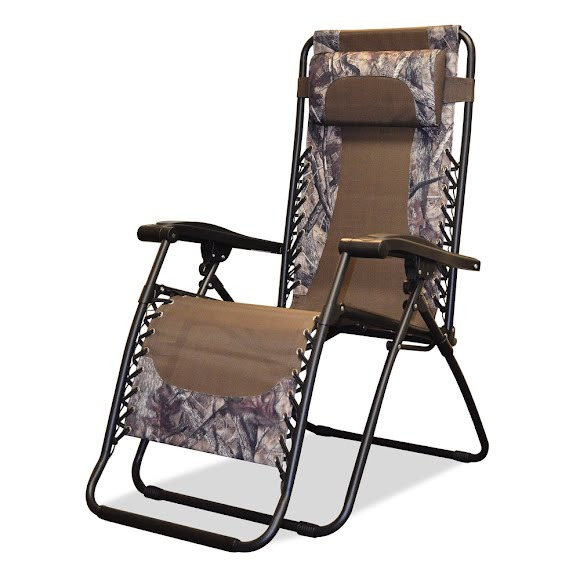 Unlike other gravity chairs, the original Infinity Zero Gravity Chair boasts a 300 lb. weight capacity! These features, combined with Caravan Sports&apos; history of building high quality chairs make the Infinity Zero Gravity Chair the best value on the market. Measurements 25.5" x 45" x 64.5", Folded: 38.6" x 26.4" x 6.3"